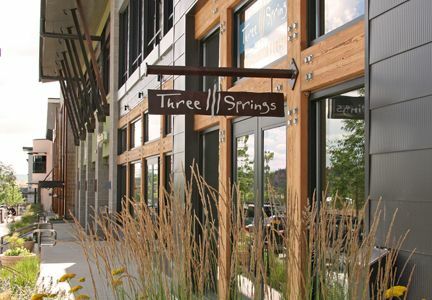 Visit Three Springs and enter a community featuring amazing architecture, open space, parks and recreation, walkable streets, excellent trails, work environments and more. 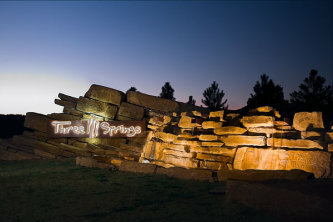 Three Springs is the place to live, work, shop and play in Durango, Colorado. 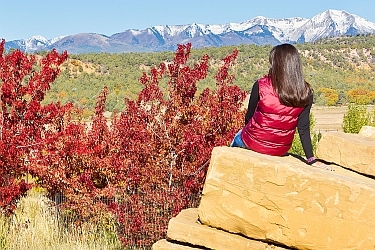 Whether you are relocating to Durango or creating new roots, explore Three Springs as a place to call home. We welcome you to Three Springs. Start by searching for your new Energy-Star Certified home at Three Springs. 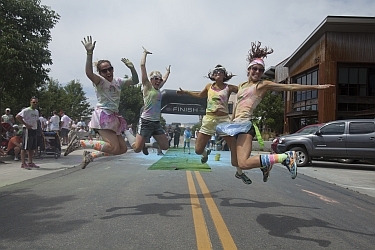 No matter what the season, you'll find a vibrant neighborhood here full of friendly residents, over 50 businesses, and an action packed Three Springs Plaza for athletic, music and charitable events. Join us for Free Outdoor Movie Nights, the popular Annual Fall Festival and more. For a listing of events, please visit our Events Calendar. Three Springs’ Business District is home to the majority of the commercial buildings in Three Springs. Alive with activity, the business district includes the Three Springs Plaza as its centerpiece and enjoys multiple events throughout the year. If you're interested in growing along with the Three Springs business community, let's talk about commercial sales and leasing opportunities.